When planning a golf trip to Thailand, you are spoilt for choice when it comes to both the destinations and the golf courses. However, arguably the best region of Thailand for golf lovers is Hua Hin. Hua Hin is a lovey seaside resort on the Gulf of Thailand, in the southern Thai province of Prachuap Khiri Khan. 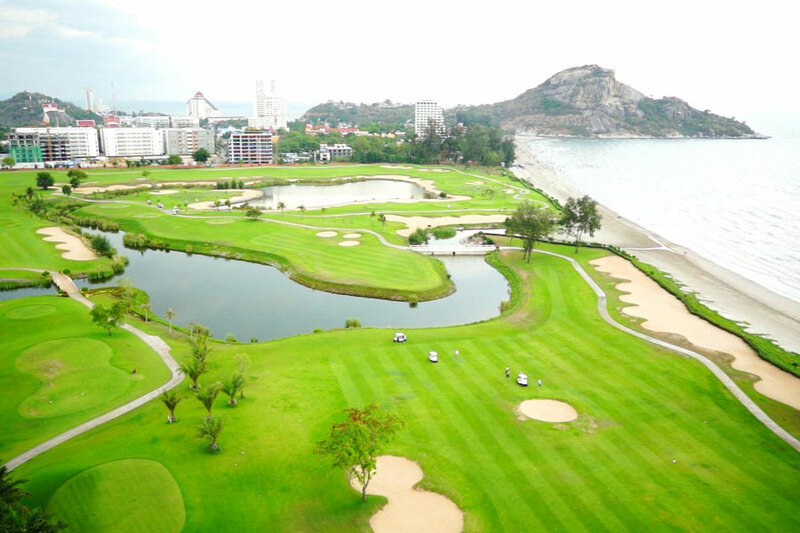 For the people of Bangkok, Hua Hin has become a great place to escape for the weekend and play a round of golf. Despite the increasing popularity of Hua Hin, it has retained much of its original charm and there is a constant effort by local people to avoid the over commercialisation which can affect some areas of the country. Thanks to its tropical climate, Hua Hin is a great place to play golf all year round but if you want the best chance of warm, dry weather you should book your golf trip between November and February. If you enjoy playing in hot conditions, then the months from March to May are perfect for you and if you don’t mind a bit of rain, June to October is also fine. You are spoilt for choice when it comes to accommodation in Hua Hin ranging from well-known hotel chains to boutique guest houses. You also have the opportunity to use exclusive golf course accommodation, so depending on which golf courses you would like to play, this could be an option for you. However, the biggest choice you face when playing golf in Hua Hin is which courses to play and our Hua Hin golf course reviews should help you when making this tough decision. 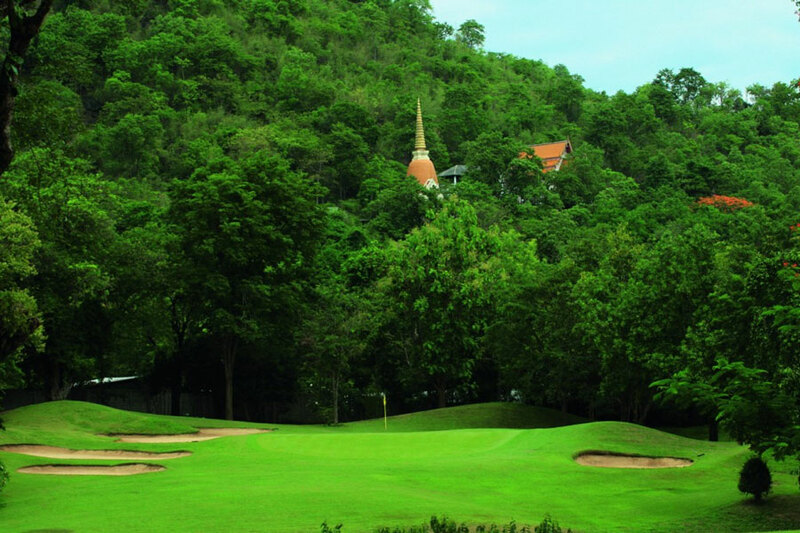 Arguably the most famous of all the golf courses in Hua Hin is Black Mountain. This course has hosted several Asian PGA Tour events and continues to set the standards in terms of course quality plus staff and facilities. When it comes to Hua Hin golf course reviews, you will not find a more popular golf course and comments such as ‘the greens and fairways are always in perfect condition’ to ‘the caddies are always a joy to have in making your golfing experience memorable’ highlight the complete golfing experience you will enjoy at Black Mountain. However, you cannot fully immerse yourself in golf while staying in Hua Hin without playing a round at the oldest golf course in Thailand, Royal Hua Hin. 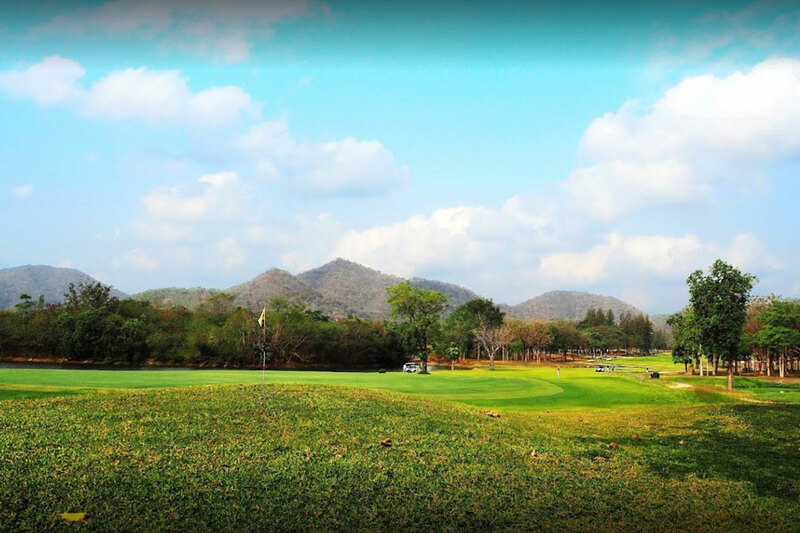 You will find this golf course is lined with mature trees, something which cannot be said for the many new golf courses in this region of Thailand and although it may have seen better days, it still makes the list of some of the best Hua Hin golf courses reviews we have received. If you want to play one of the best golf courses, not only in Hua Hin but the whole of Thailand, you must visit Banyan Golf Club. With a choice of six tee boxes, this golf course is suitable for players of all abilities and you will not fail to miss the bunkers and water hazards, which are strategically placed throughout. The only way to do Banyan Golf Club justice is to look at the many excellent reviews it has received from golfers who have had the pleasure of playing at this magnificent club. ‘Banyan Golf Club probably provide the best golfing experience more consistently than nearly any other course in Thailand’ and ‘Interesting layout and a thinking course, conditions are always superb here and clubhouse food is also excellent’ are just a small sample of the excellent reviews this golf club has had and continues to receive. When looking at Hua Hin golf course reviews, both on Google and TripAdvisor, it is clear which golf course many players rate highly and that’s Majestic Creek. You will notice the several water hazards on the course, many of which are situated in-front of the tee boxes, so you need to be confident in club and shot selection. 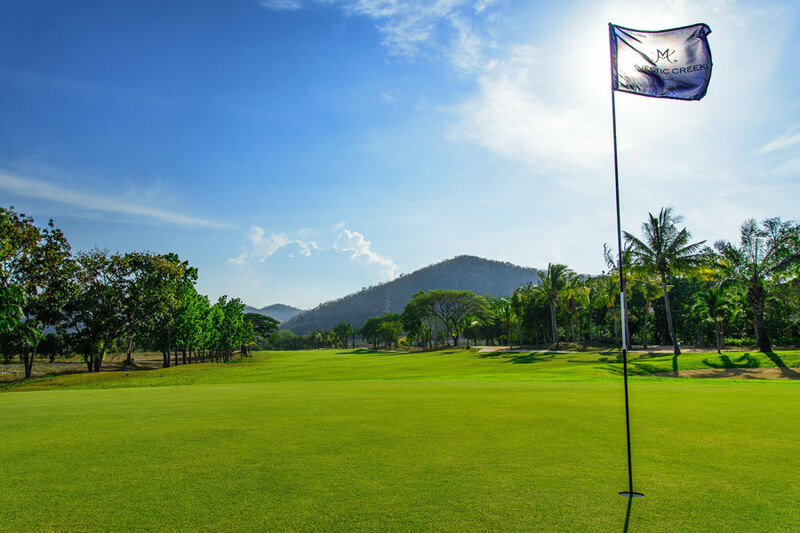 As Majestic Creek Golf Club has grown stature, so has the number of people looking to get a tee time so don’t delay and get in touch with us today to experience some of the best golf in Hua Hin and Thailand. What more can you ask for in a golf club than that? 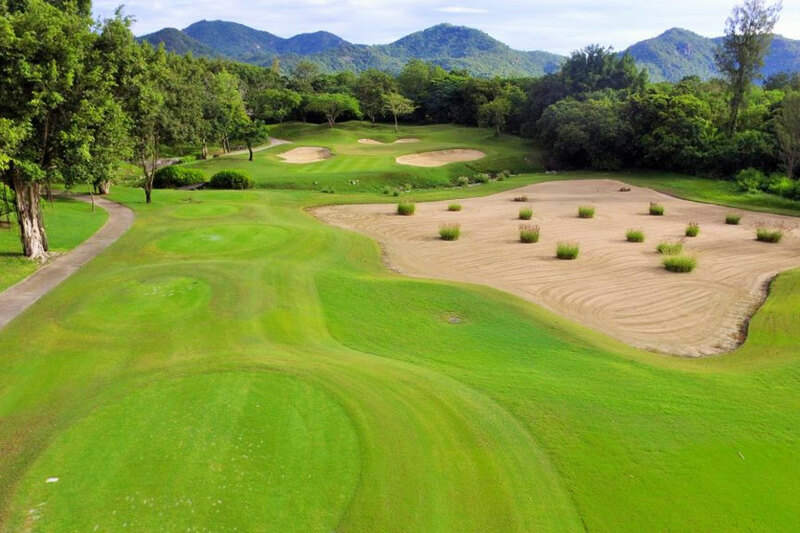 The great thing is, you will find many more reviews saying exactly the same thing which means Majestic Creek Country Club must be high on your list of golf courses to play in Hua Hin. The great thing about reading Hua Hin golf course reviews is they provide you with a first-hand account, from people who have played on the golf course and sampled the facilities. There isn’t a better way to judge a course than the opinions of those who have played there, and Lake View Golf Club has grown a fantastic reputation since opening in 1993. 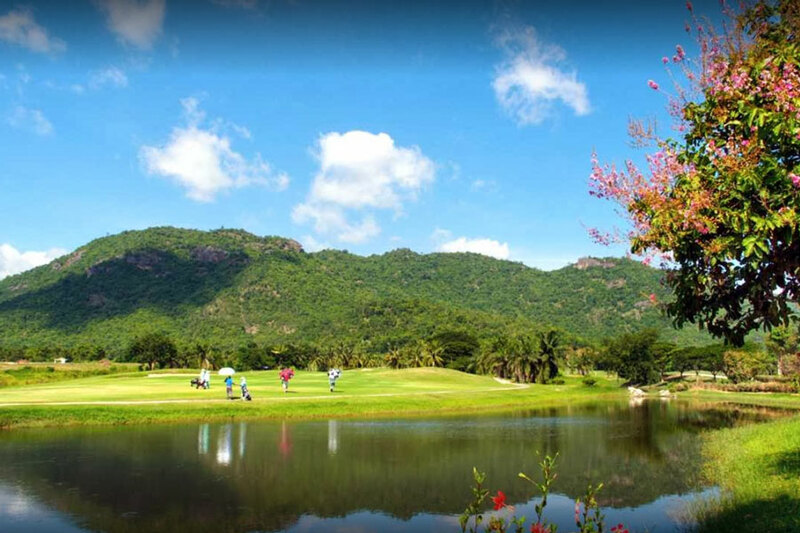 This is one of the most scenic golf courses in Hua Hin and being located close to the Kaeng Krachan National Park, you are guaranteed some special views. Look out for the large lake, which sits in the middle of the two courses and is the source for the creeks and streams you will find along many of the holes. A reviewer from 2016 commented on how the ‘A & B courses which were both interesting and challenging with plenty of water and waste areas’ plus how the greens were quick, and this is where the help of the caddie was invaluable’. 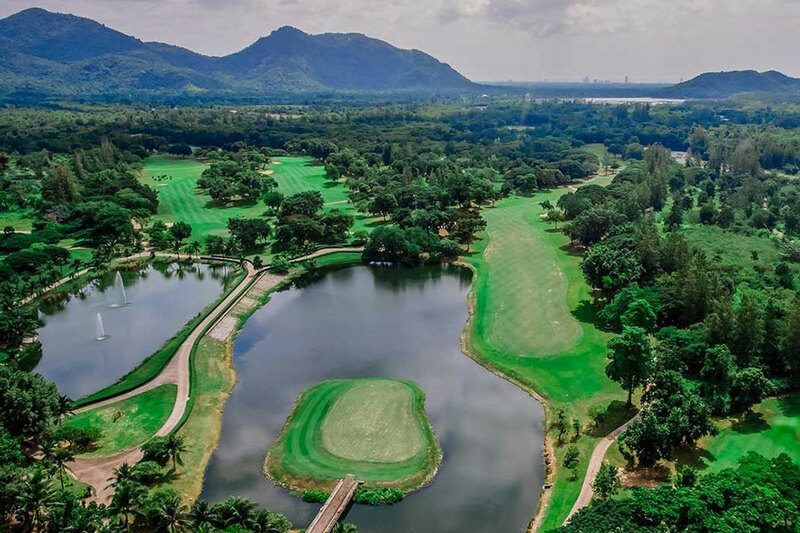 Lake View Golf Club may not be one of the new, modern golf course developments in Hua Hin but it certainly holds its own and comes close to the top of Hua Hin golf course reviews. One of the first international standard golf courses in Hua Hin can be found at Palm Hills Golf Club and although it plays a little short by modern golf standards, it still favours very highly in Hua Hin golf course reviews. The course may be short but the greens are fast and approach shots must be taken with care to avoid leaving long, tricky putts. The front nine holes are quite flat but the back nine become more undulating and include the best holes on the course. Some of the reviews of Palm Hills Golf Club have spoken about the nice wide fairways, well protected greens and the need to keep the ball below the flag when on the putting surface because downhill putts are very fast. Another great tip from one of our reviews on this golf course is how walkable it is and you can enjoy Palm Hills without the need for a cart. One of the great things about reading Hua Hin golf club reviews is you may come across a golf course which you did not even know was there in the first place and this is often the case with Sawang Resort and Golf Course. 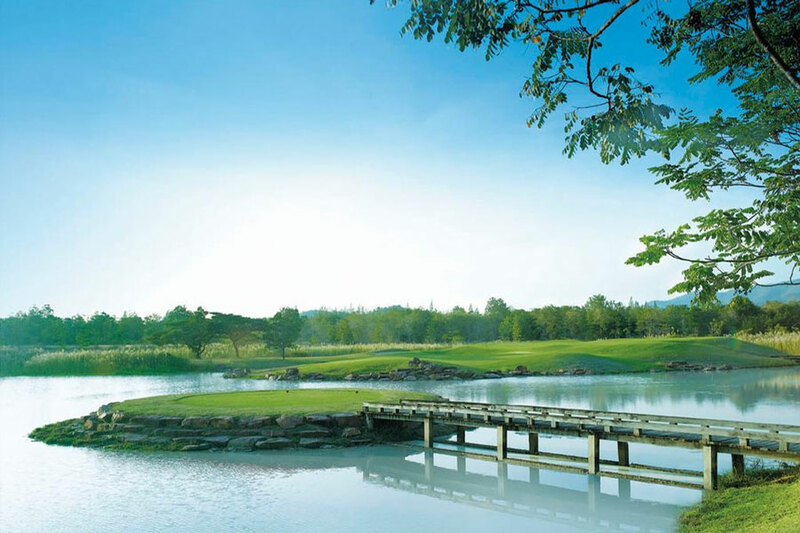 This course is located just under an hour away from the centre of Hua Hin but is worth the journey thanks to calm and peaceful feel of the course. The 27 holes are set between rice fields and fruit orchards but with large lakes and bunkers, you must keep your focus on the course if you want to make a low score. Look out for the par-4 17th hole, which features a long tee shot over water to a well-protected fairway and an approach shot which must also carry water to reach the green. 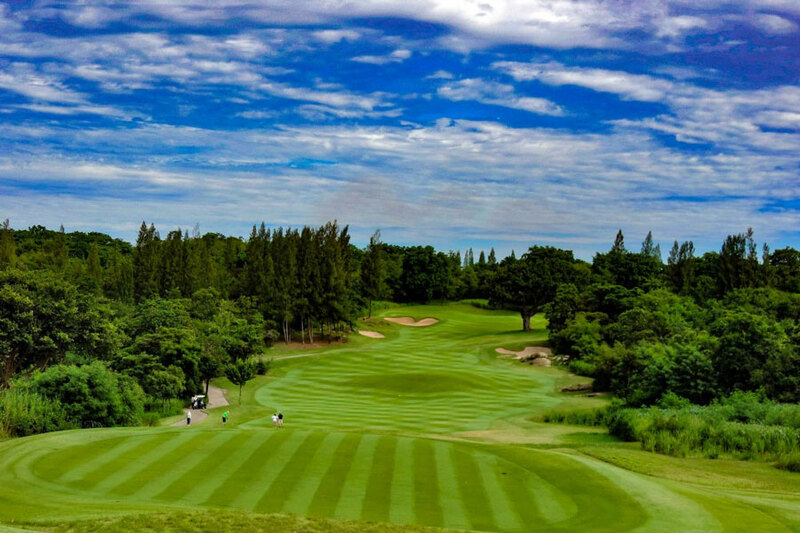 The course has received many 5-star reviews and you owe it to yourself to check it out when playing golf in Hua Hin. If you would like to challenge yourself on the newest golf course in Hua Hin, Sea Pines Golf Course is the place for you. As the name suggests, this golf course runs along the coast and is the only one in the area to have holes which are next to the beach. The location is very impressive and the 18 holes are split by a railway track which adds to the drama of the layout. The Sea Pines course is flat but with a lot water and sand plus the wind, the challenge is enough without the need for significant elevation changes. In fact, there are only 4 holes on the course where water does not come in to play and the finishing holes are something special and worth the green fee on their own. In terms of Hua Hin golf course reviews, Sea Pines Golf Course is rated as one of the best and the course itself is comparable to the more famous courses in Hua Hin. ‘A really nice course in a great setting with some interesting holes’ and ‘Beautiful course to play, not too difficult, but you will meet a lot of water’ are two of the many positive reviews this course has received and being so close to the centre of Hua Hin, it makes sense to add Sea Pines Golf Course to your itinerary. Finally, we come to Springfield Royal Country Club and while this club requires a journey outside the centre of Hua Hin, it was worth very kilometre. The course is designed by the legendary Jack Nicklaus and as you would expect from a course designed by the Golden Bear, there are plenty of bunkers and water hazards to catch anything which is wayward, especially off the tee. There is a good selection of holes on this course, some which feature quite narrow fairways and wind their way through trees and others which are more open and play more like a links style course. This provides a nice contrast as you play your way around the course at Springfield Royal Country Club and with a choice of 5 tee boxes on each hole, it is playable for golfers of all abilities. With excellent facilities including an elevated clubhouse offering great views of the course, a well-stocked pro shop and lovely choice of food and drink, Springfield Royal Country Club is considered a must-play by many who visit Hua Hin to play golf. However, you don’t have to just take our word for it, Springfield Royal Country Club has received many excellent reviews from those who have been lucky to play its 27 holes. The quality of the layout and overall conditioning of the course are the two main positives to come out of the reviews. Perhaps the one of many positive Hua Hin golf course reviews which not only sums up Springfield Royal Country Club but the region as a whole can be found under Springfield Royal Country Club’s page on TripAdvisor. It says, ‘Another stunning location and golf course with super friendly staff and luxurious facilities. I am definitely going back. Hua Hin is a golfer’s dream location’. Hua Hin is indeed a golfer’s dream location and is only going to get better. 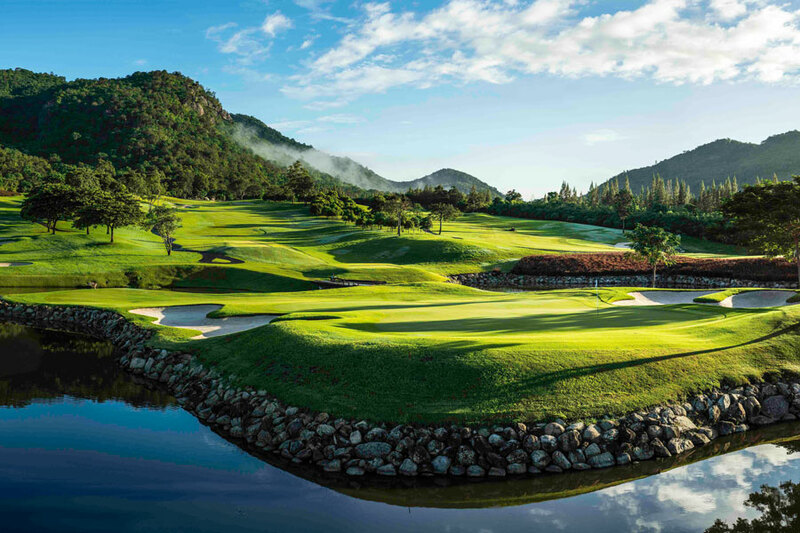 Some of the golf courses are still unknown to many people outside of Thailand and there has never been a better time to play them before the word spreads and the crowds arrive to sample the world class golf facilities.